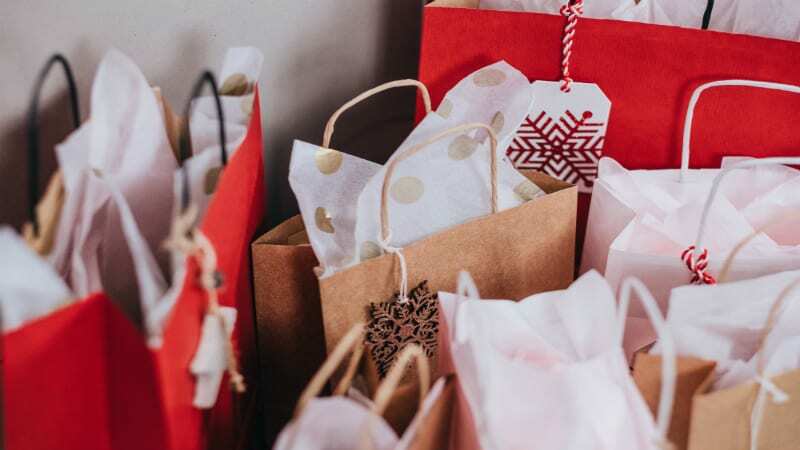 This year thanks to a healthy economy and strong consumer confidence retailers are anticipating a hectic holiday period. Retailers are also facing a tough time filling all the extra positions the holiday season generates. The National Retail Federation (NRF) President and CEO Matthew Shay estimates that retailers will hire 650,000 seasonal workers for the 2018 holiday period, up 10% from 2017. In such a competitive market, some industry insiders are predicting wages to increase by as much as 54%, with additional enticements like employee discounts and special shopping days added to entice new hires further. For employers, this volume of new workers presents significant hiring, onboarding and training challenges. I’ve worked in retail for almost 30 years. Currently, I am Skillsoft’s retail industry principal. From this wealth of experience and industry knowledge, I understand the problems, and I know the solutions. Today I want to share this expertise, by answering the most common questions I hear regarding this subject. How does the onboarding process change during a peak period? It is best to hire early in the season, giving temporary employees time to onboard and shadow existing staff, but the reality is not all retailers can afford the extra payroll too far outside of peak season. When onboarding for seasonal hires, adjust to specific roles and responsibilities but still include training in culture, vision, and company standards. Educate incoming employees on customer profiles, performance objectives, holiday scheduling, and assign each a mentor. When creating an onboarding process for seasonal hires, consider which trainings are necessary to begin the job immediately, and which training items can go on a checklist employees can reference when needed. How do I get temporary workers up to peak productivity quickly and efficiently? When hiring for the holiday period, assess existing staff and move any suitable candidates into mentoring roles or offer them additional hours to support the temporary workers joining the team. Specialization is the key to peak productivity with a short ramp period. Select curated courses to help seasonal workers understand the critical role they will perform, and support with courses related to those job functions – for example, cashiering and skills on handling difficult customers, sales/product knowledge and empathy skills, or product shipping/production and handling stress and heavy workload). What specific training mechanisms can retail managers employ to prepare for a peak shopping period? Employees expect online training in the retail workplace. Virtually connecting groups of trainees builds comradery and will create moments to ask and learn from others in a critical time of onboarding. In addition, gamification is leveraged to spark the natural competitive spirit, particularly in sales. Historically, seasonal workers skewed young, but we are seeing more retirees being lured back to the workforce to supplement retirement income, take advantage of employee discounts, and fill the void left by low unemployment. Understanding employee’s needs and access to a multimodal approach to training and development is best suited for the diverse workforce. Are softer skills such as stress and anxiety management more critical during peak periods, or is this something retailers should be focused on throughout the year? Soft skills are essential to retailers regardless of the season. There are always challenging customer situations, emergencies, or career pathing which require building soft skills. At holiday time, the pace increases, and the need for access to skill training and refreshes for existing staff is essential. Taking five minutes to review training on coaching or empathy skills before a shift or midday may help reset an employee’s focus. How can retailers strike a balance between training permanent staff and new and often temporary staff ahead of the peak season? One way is to ramp up permanent staff for more hours or workdays – even paying overtime is sometimes more beneficial financially than hiring and training a large temporary staff. Temporary staff should be utilized to support the critical functions which grow at the holiday – cashiers, stockroom, shipping, store maintenance, customer support calls. And remember, keep your tenured team on the more complex duties and elevate into mentor or shift leadership roles. How can retailers ensure seasonal employees receive the right depth and breadth of training in a shorter timeframe? Are there areas of training that should be left out for temporary staff? When training part-time and seasonal employees, focus each path on the specific duty they will be supporting. For instance, you may not need to train a temporary cashier on product placement, selling skills, or back of house organization. Additional training can be added throughout the season as the temp worker shows aptitude, progress, or desire to take on other roles. Map out training for each position in priority order. Do not eliminate any understanding of company culture, vision, and expectations. Employees with a clear view will not only be able to self-guide when faced with conflicting priorities but also will feel more connected to the permanent team and goals. How does performance measurement change over the peak period? Is it more or less important? What metrics can a retailer put in place to measure success over the period? A company’s key performance indicators can be dramatically altered – for good or bad – during the holiday season due to the volume of traffic and sales. Leaders should review the year to date or quarterly performance ahead of the peak time to best focus on moving desired metrics. The holidays are a great opportunity to change the trajectory for the better and come in on target. Use the time to train and set incentives in place for the season. Frequent communications on updated performance will help teams understand their impact on the result. Ask for input before and after peak periods and adjust the action plan or incentive. This is the time retailers have their largest employee teams; use that increased brain power for fresh perspectives and feedback. Lastly, remember to identify the ways each of the support teams affect the outcome of the metrics. For example, if the sales floor is not stocked with accessories, the sales teams cannot hit the accessory goal. Set expectations and reward all the functions and channels in the business. We generally think of Black Friday and the Christmas period as being the ‘peak’ season for retailers, but are there any other periods of the year retailers need to consider additional training for staff? Historically, Black Friday is the official start of the holiday shopping period, and usually the number one traffic day for retailers. In 2018, there are four Saturdays from Black Friday to Christmas day, and each of those will be a peak day, with peak hours between 2 pm and 5 pm. The day after Christmas until December 29th will remain high traffic periods, with more complicated transactions of returns and exchanges. The month of December is historically full of ebbs and flows, and retailers need to be prepared to use the downtimes to continue training and upskilling both the seasonal and permanent team members. Ongoing training not only helps seasonal workers feel supported and connected to the team but is helps full-time workers who take on mentor and leadership roles during this short period. In regards to preparing teams for holiday season, staffs need an understanding of expectations and performance standards. Part of the expectations of the holidays is in scheduling and expected productivity. Creating a schedule well in advance of peak days allows employees time to plan, and leader’s time to ask existing workers to take on more hours or fill critical timeframes. Balancing the staff with new and tenured workers will alleviate the pressure on shift leaders, and help the team to be more productive. Each week is equivalent to a month of sales for most retailers, so timely feedback is key to sustaining or redirecting the team. Retailers should post time-bound action plans with regular updates on results where all employees have access. Track employee communication and training needs, and set expectations for downtime activities. Online access to action plans, checklists, and assignments can support team accountability in a season where leadership is stretched thin. As well as shop floor staff, which other roles in the business will require additional training ahead of a peak shopping season? During peak holiday business, support roles play an important piece in staffing and scheduling. Support roles could be anything from unloading more frequent deliveries and stocking the shelves throughout the busiest hours, to line management and greeters directing seasonal shoppers who are not familiar with the store layout. In this fast-paced omnichannel environment, availability of product and assistance is no longer exceptional but expected. Employees familiar with and access to the retailer’s mobile apps and virtual tools will also help ease the strain on the holiday shopper. As the peak week of Christmas approaches, more shoppers are moved from online purchases to brick and mortar shopping to avoid possible delays in the delivery and availability of products. Are staff incentives more important over peak period? Are they more important for temporary staff than permanent? How can you ensure your workforce remains incentivized? Rewarding employees who support the season’s additional workload is critical to sales success. Creating incentives for tenured and new employees can work to accomplish both goals. Retailers should create various incentives aimed at driving success for the entire season. Contests focused on a specific category or performance metric during peak days will keep the part-time and seasonal workers engaged in team success. Remember, not everyone is sales or customer facing, so incentives should be created to maximize sales and productivity. Reward and recognize any demonstrations of trained skills, when customers give compliments, examples of employee mentoring, or when work is above and beyond the call of duty. Understand how your employees want to be recognized – is it public, private, time off, or monetary? Is there much focus on converting seasonal employees to full-time, or encouraging them to come back? With high attrition rates in the retail industry, companies are wise to look at seasonal hires as potential permanent employees or gig workers (a trend that is increasing where employees work for short periods of peak business throughout the year). Maintaining seasonal employee data around skills trained and performance attained is an excellent way to identify previous seasonal workers who understand the business and culture. Engaging and committing those prior workers early in the season allows retailers to determine the additional hiring need for peak days. Over the course of my lengthy career, these are the questions I encounter regularly. Please let me know if there are any other topics or queries that I did not cover. SumTotal Onboarding centralizes disparate processes in one intuitive place, including the welcome letter, forms, first-day schedule, recommended learning, and collaboration with peers and mentors to create an immediate and personalized welcome to the organization and culture. Alternatively, take a look at Onboarding: Help new hires become productive and success faster to learn more about the benefits of strategic onboarding. Cheryl is an award-winning leader with 20+ successful years in multi-unit management, leading productivity and profitability. 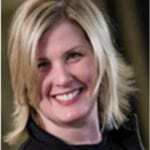 She has extensive expertise in retail and sales operations.